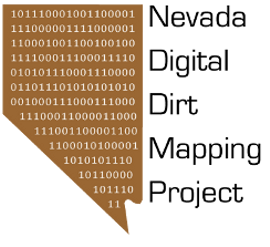 Nevada Digital Dirt: Editor Tracking Tool in ArcGIS. Presently, I am trying to manage 9 mappers working simultaneously on the Clark County surficial mapping project...the number may swell to about 12 or 15 in the next week or so. This effort is being made possible by using ArcSDE...there is really no other way to do such a thing efficiently...more on that later. Recently, we discovered an editor tracking tool that can be installed that provides records of who edited what and when. We found it quite late in the game, but now that we have had it for about 3 weeks, it provides a useful and promising perspective on the progress with the map. Each line that is touched by an individual and edited in some way (no matter how small) becomes tagged with that person's ID. Looking at the map symbolized by mappers is interesting, shows progress, and also...well...lets you hone in on potential trouble spots. Also, the fact that if an editor touches a very long line by fixing only a small segment helps motivate the individual to investigate the entirety of the line. Sweet! Here is an example that shows the tool's results as well as some serious progress on this huge, huge, huge map. Did I mention that the map is huge?